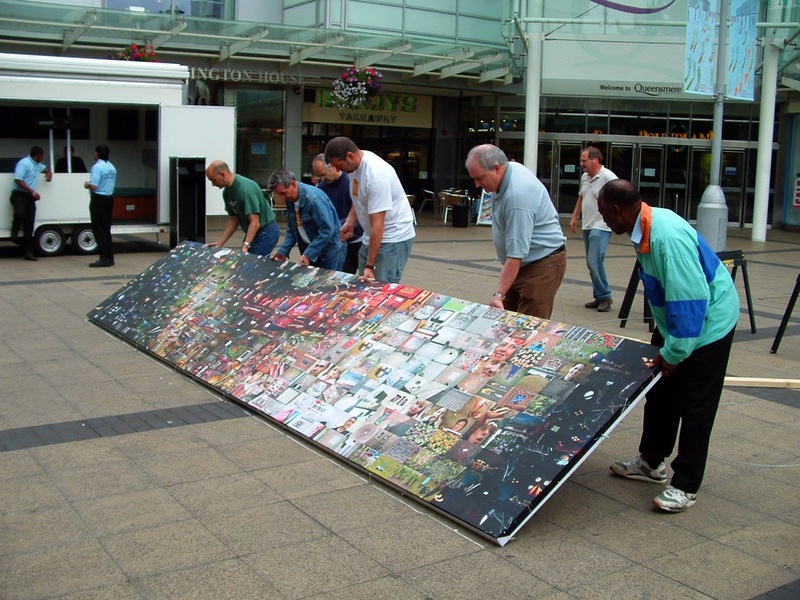 Optomen TV, one of the top 30 independent production companies in the UK were producing a documentary series called Making Slough Happy for BBC2. An unusual three month social experiment, spanning a variety of disciplines from psychology to economics, aiming to improve the happiness levels of people in the Berkshire town of Slough. 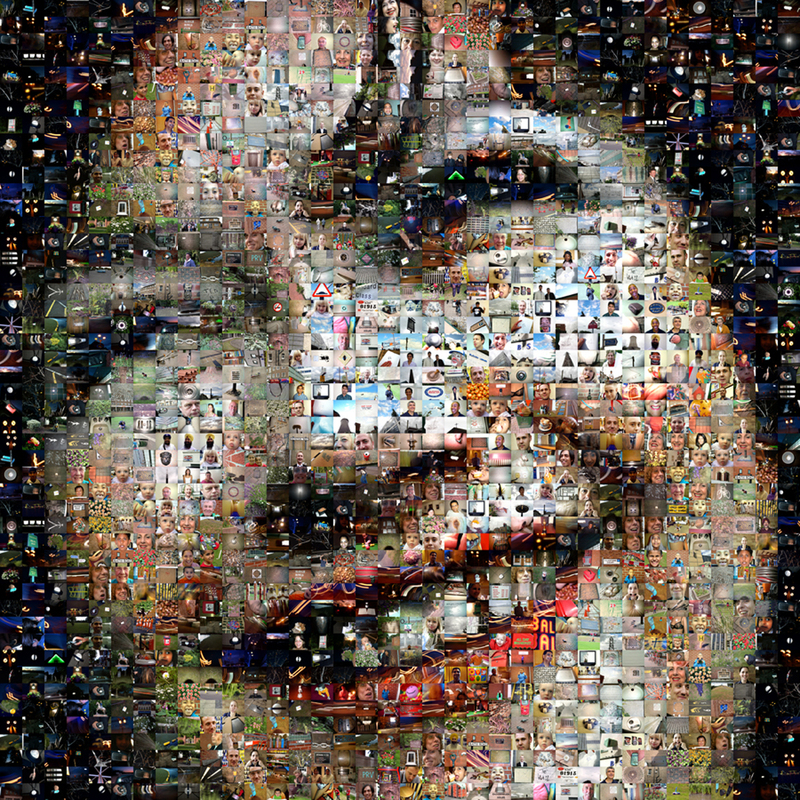 Helen Marshall was assigned to work with Andrew Mawson OBE, a well known social entrepreneur, to work with fifty volunteers from Slough and produce a photography project that would form a large montage as part of the final televised event and celebration of the project as a whole. 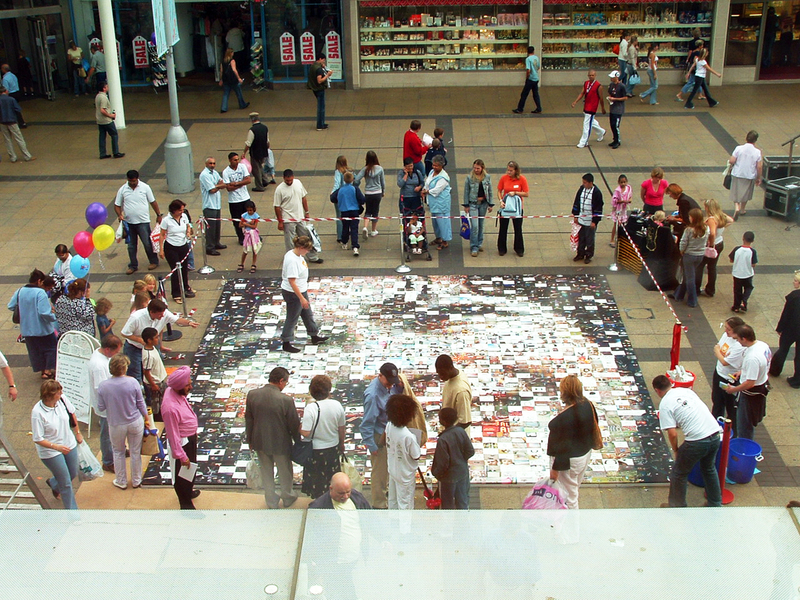 Helen Marshall was commissioned to make a community artwork, using photos taken by the locals and everybody became part of a team creating and installing it in the town square at the end of the series. The final photograph was selected because it was one of the participants, Veronica, who had no idea till she was the chosen face until it was unveiled. 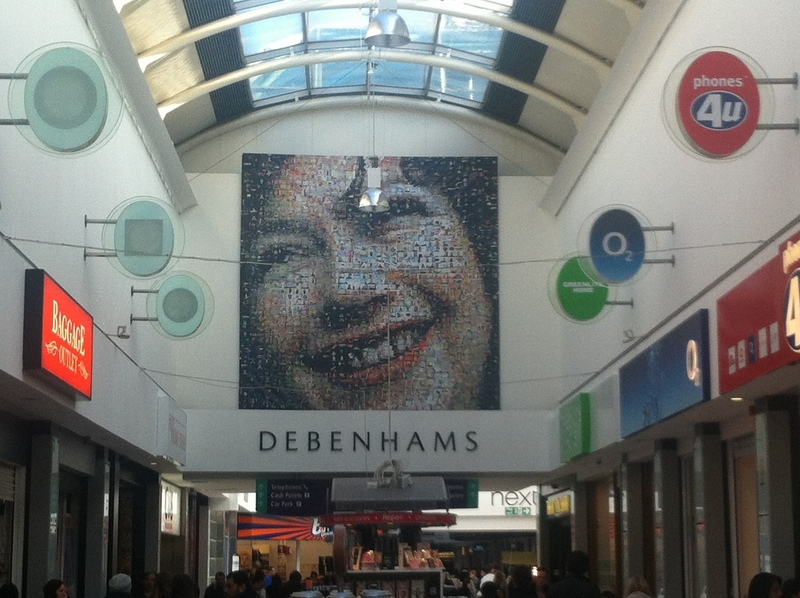 The artwork was a colourful and poignant addition to the Happiness Experiment, it was a pleasure to see it develop and become a legacy to the town, by being displayed in the Queensmere Shopping Centre.